This summer, furniture and homewares are going colour crazy! And it's not just apparent in sofas and rugs, tableware and napery, but in lighting, too. 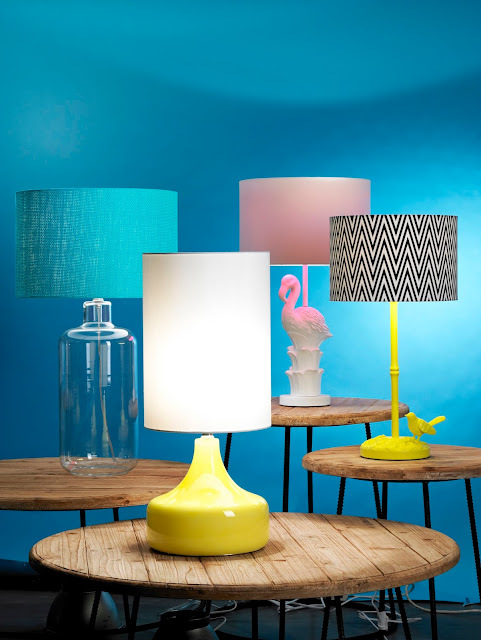 Celebrating colour with a new range of bright table lamps, Amalfi has all the season's best looks covered – from quirky flamingo bird bases to geometic printed shades. There are also other strong themes in the table lamp range, such as suave and sophisticated metallics of gold, copper and brass, as well as bold and beautiful primary-colours. What fun!